Today we’d like to introduce you to Farzan Dehmoubed and Jennifer Duvall. Thanks for sharing your story with us Farzan and Jennifer. So, let’s start at the beginning and we can move on from there. We started our business after California’s plastic bag ban became official this January when we quickly noticed that there was a need for quality, recycled bags that avoid filling homes with the abundant and cheap ones that are often forgotten at home, tear or quickly end up in landfills. After relentless researching, testing, and prototyping, we developed a product we are proud of and use and love personally. We launched on Amazon in mid-May had our official debut at Fiesta del Sol in Solana Beach May 19-20. 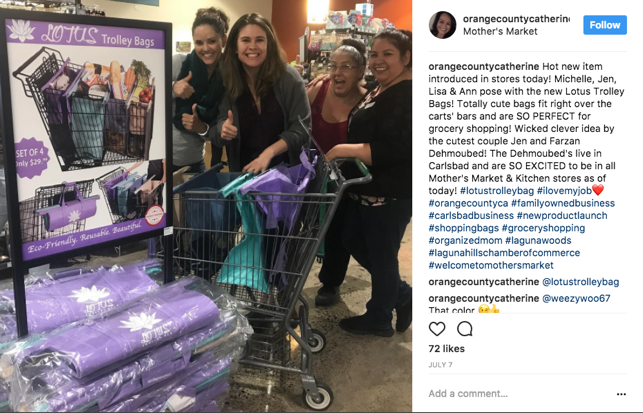 • Our poles, which are sized to allow the bags to be used with most standard U.S Shopping carts, including our local stores like JIMBO’s, Whole Foods, VONS, Ralphs, Walmart and others. • Our 2nd bag in the set is a large, insulated cooler bag, which has proved to be a highly sought after feature. They are large enough to fit frozen pizzas and have a small Velcro to keep the bag closed on your drive home. 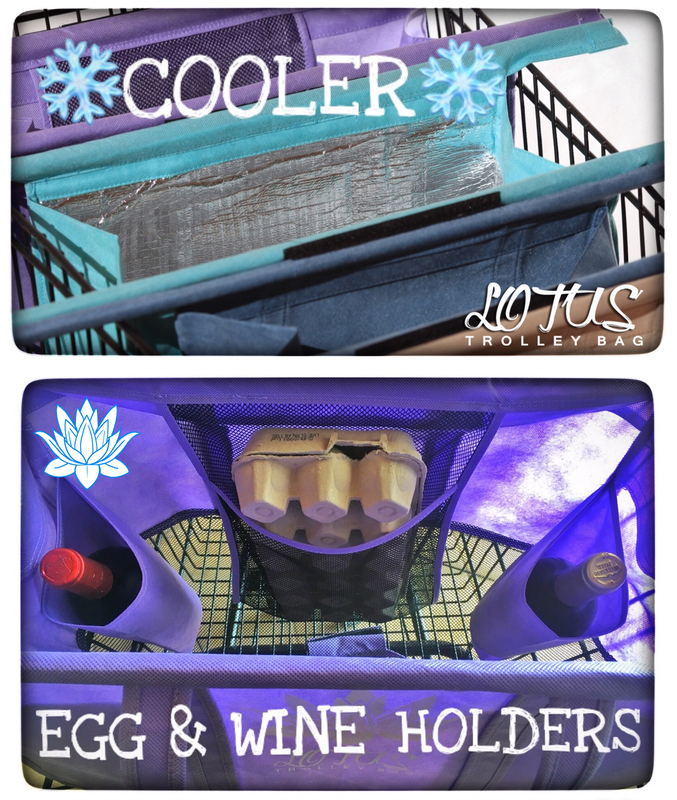 • The 1st and largest bag has our favorite option which is our secure egg and wine compartments. 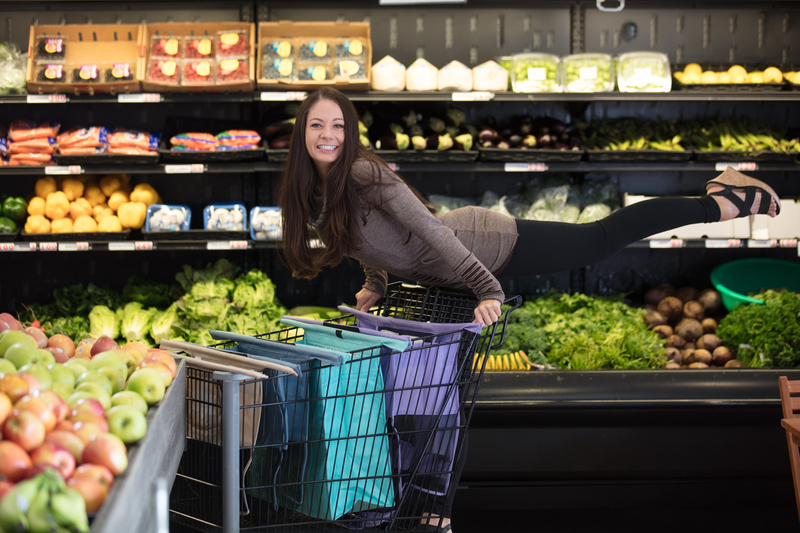 • We designed our bags so that shoppers can Velcro them directly to the cart handle to keep them out of the way while shopping. • The RODS ARE REMOVABLE – there are small slits designed so that you may remove the rods if you would like to use the bags for other purposes (picnics, roadtrips, beach trips, travel…). Although the response for the concept and the bags has been overweeningly positive, from the beginning, there has certainly been challenges along the way. I’ve never brought a product to market before. There was so much I had to learn about retail & online marketing. I put myself though a homemade training course listening to endless podcasts, webinars & YouTube videos to learn how Amazon, Facebook and Instagram marketing algorithms work. Some of my first posts were averaging $9 or $10 per click; I’ve learned how to get that down to $.65 per click and I’m hoping to learn and improve upon that. My advice to other local entrepreneurs is that there is an endless amount of free educational material online to tap into. It’s just a matter of putting in the time and effort to learn the space. Starting a business is never easy and the uncertainty is often scary. However, as most entrepreneurs can attest to, it’s exciting, fulfilling and hard to go back to working for someone else. 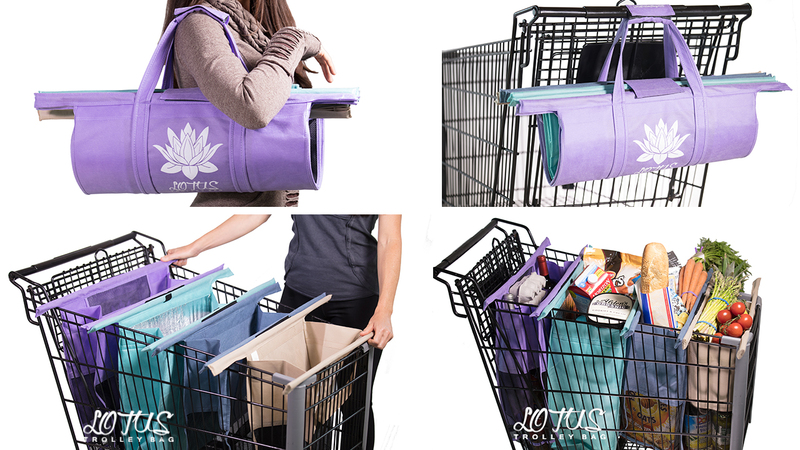 Lotus Trolley Bag – what should we know? What do you guys do best? What sets you apart from the competition? We are committed to working locally to improve the environmental wellbeing of planet. Our goal is to put a dent in the plastic bag waste and reusable bag waste by creating a high quality, unique, reusable bag system. 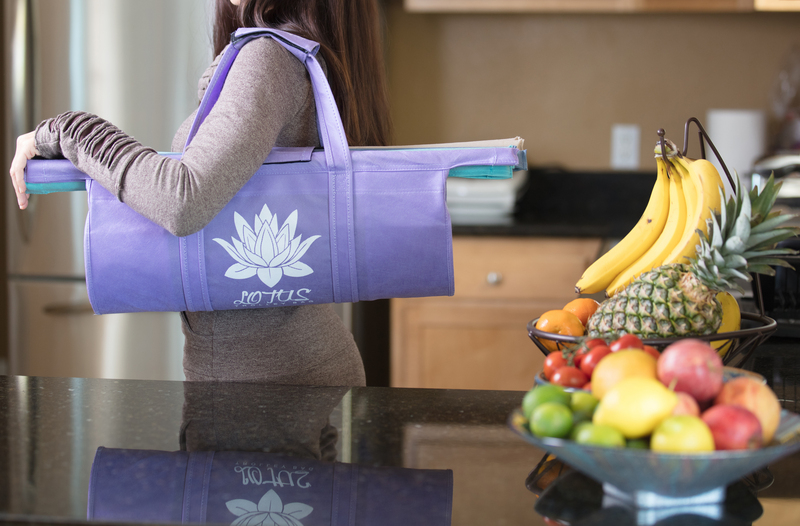 Our eco-friendly bags are also made of recyclable plastic and, as an added bonus for the environment, Lotus Trolley Bags is a member of 1% For the Planet and a portion of sales goes to great causes like the Surfrider Foundation and Plastic Pollution Coalition. 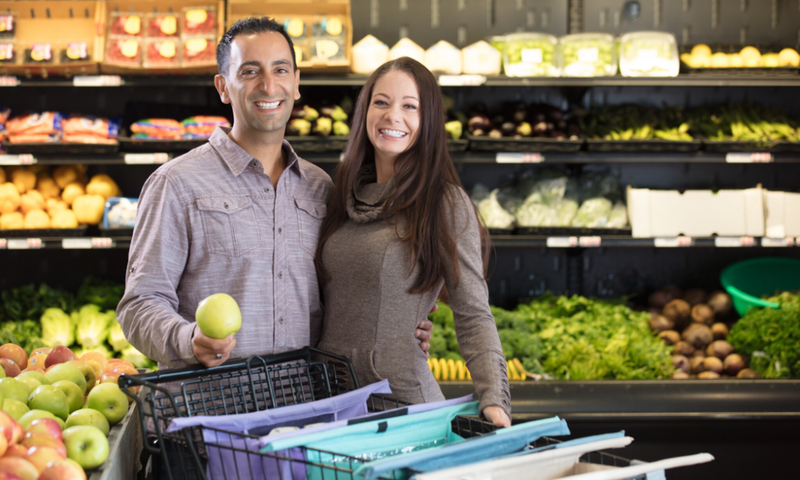 We are excited about offering our product in grocery stores throughout the US. 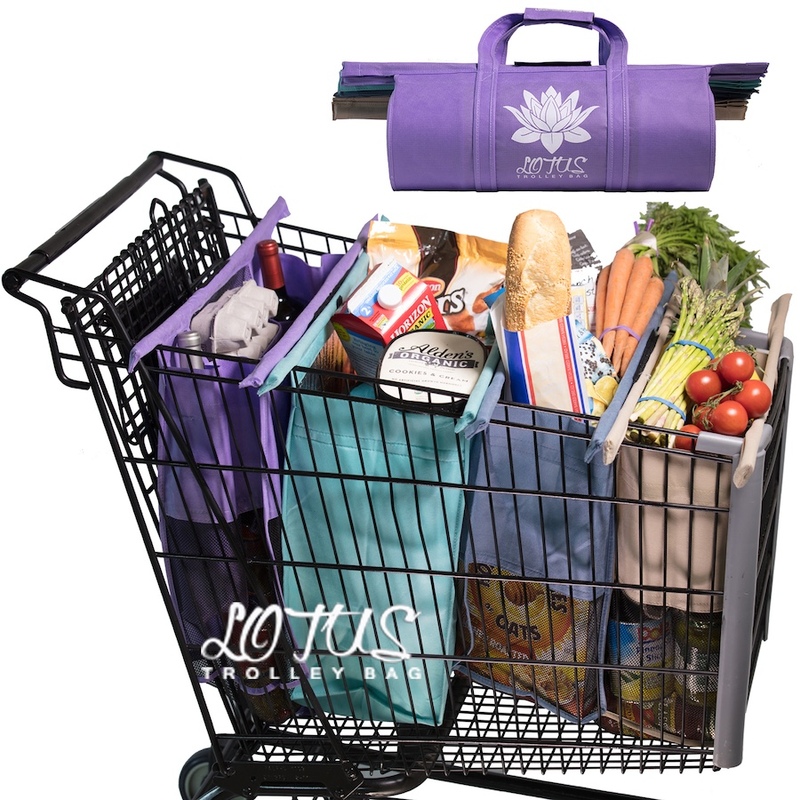 We have received approval from Ralph’s, Vons, Lazy Acres & Jimbo’s currently to sell our Lotus Trolley Bags at their San Diego locations. If this test market goes well, we hope to expand our reach throughout the west coast at Kroger and Alberstons locations. We are also speaking to Whole Foods, QVC and HSN and are thankful about the positive feedback received thus far. With almost 1 billion plastic bags being used a year in the U.S, we hope to ultimately change people’s habits help decrease the need for plastic bag as a whole. From the beginning, it was important for my wife and I to make a product we could stand by and be proud of. That’s why quality was so important to us. 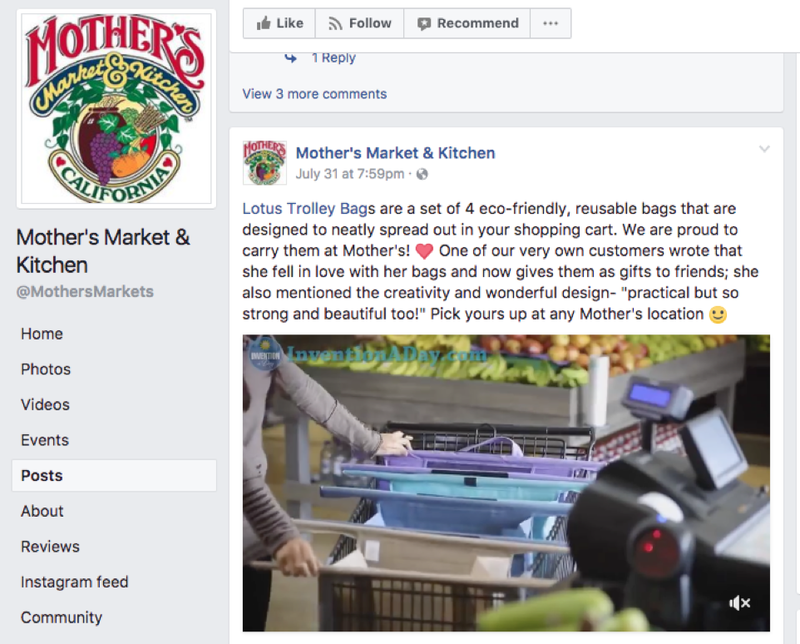 Success to us is seeing people in our local community actually using our product in stores and knowing that we helped change people’s habits away from plastic bags.